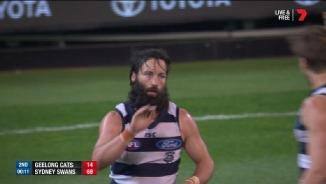 Geelong has had some incredible clashes with the Melbourne Football Club over the years. 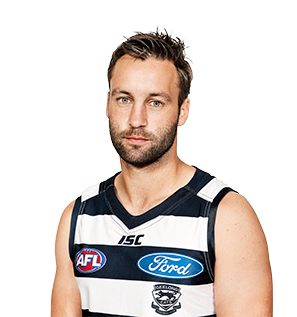 GEELONG champion Jimmy Bartel says it will be hard to watch the Cats next year but respects the decision that sees him retire. 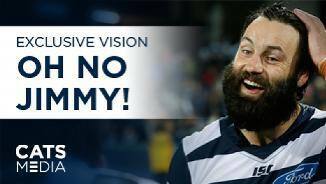 Look back at some of the best moments from the career of one of the greatest players in Geelong and AFL history. 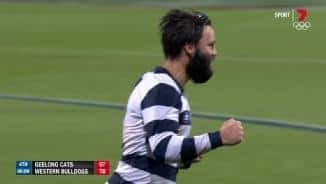 The 2007 Brownlow medallist turned his considerable talents to a new role mostly in attack last season and booted 27 goals, including four against Adelaide in his 250th match in round one. Averaged nearly 30 touches in the midfield between 2007-09, where he built a reputation as a big-game player. He boasts a tremendous record in finals and won the 2011 Norm Smith Medal for a brilliant performance in the Grand Final win over Collingwood. I thought his year was really solid, in what was probably his first consistent period playing as a defender. He'd been a midfielder and a forward prior to this year, and I think he adapted really well to his new role. I think he became really important for us as a defender. He played on talls and smalls, and we really liked his ball-use out of the back half and his marking. I think he can be even better in that role next season, but he still has the flexibility to play in the midfield or up forward.